Description: These were only issued for bank use. They were never available to the general public. King George V and Queen Mary are on the front of each bank note. 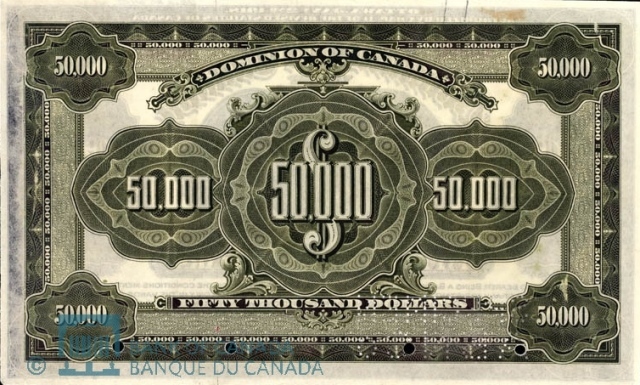 Varieties: There are no varieties; 1918 $50,000 notes only exist as proofs and specimens today. 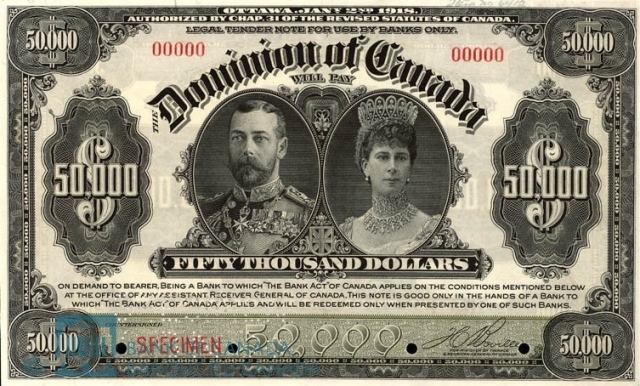 We buy all 1918 $50000 proof and specimen notes from The Dominion of Canada. These are very rare items. If you would like our offer, then please send us pictures of your bank note. We will grade the paper money and respond back quickly with our buy and sell price. You might be surprised at how much money these are worth.